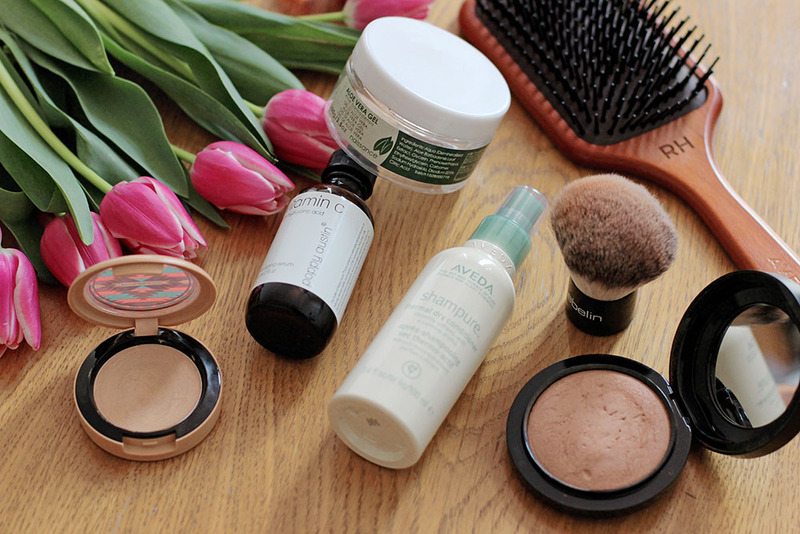 It’s been a while my friends since my last beauty post – so it’s time for an update! In fact, I’ve been researching a lot of products during the last couple of weeks and months, mainly focusing on skincare products for my face. The reason being that during autumn and winter 2016, my skin went back to puberty, breaking out heavily in parts of my face where I never used to get breakouts. So today I want to share with you what has worked for my skin, plus some of my favorite hair and make-up beauty products! I feel like it is a woman’s duty to share her positive and negative experience with beauty products. The huge amount of brands out there simply overwhelms me each and every time I want to try out something new. Plus practically speaking, I honestly do not have the time and money to try out everything on the market. 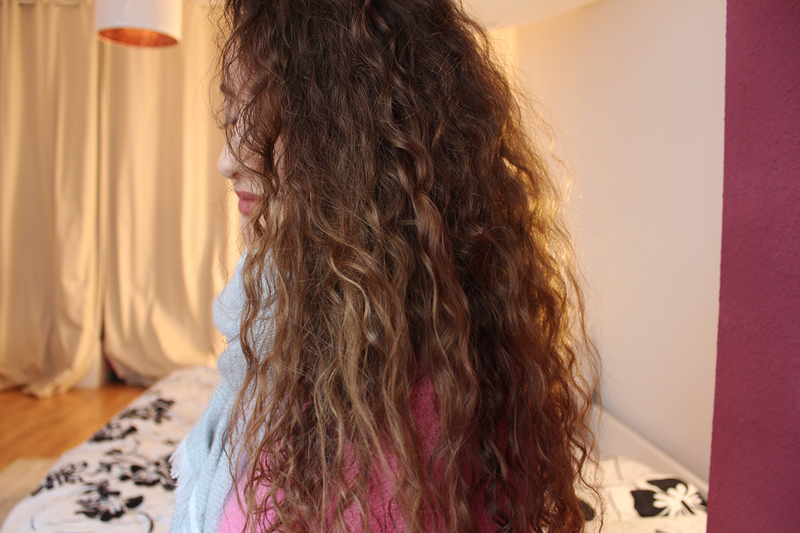 From what I have noticed so far, confusion about how to treat curly hair is especially common. 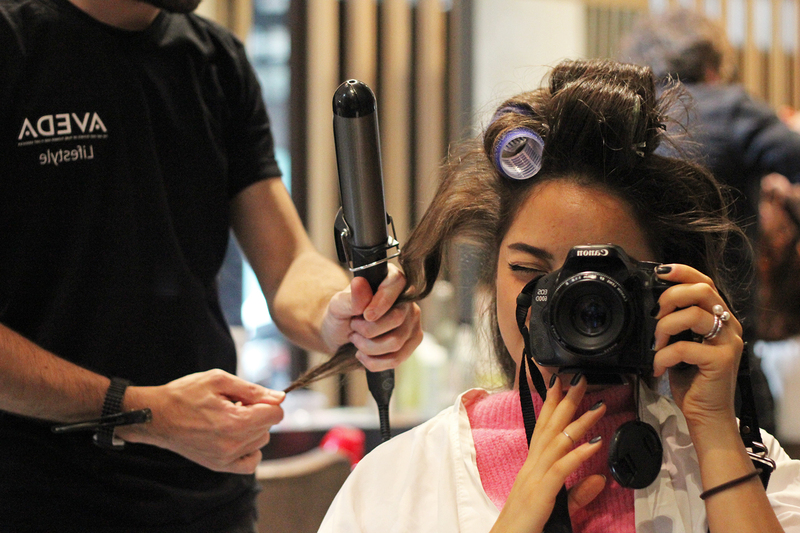 Girls often reach out to me because they are struggling with their curls. 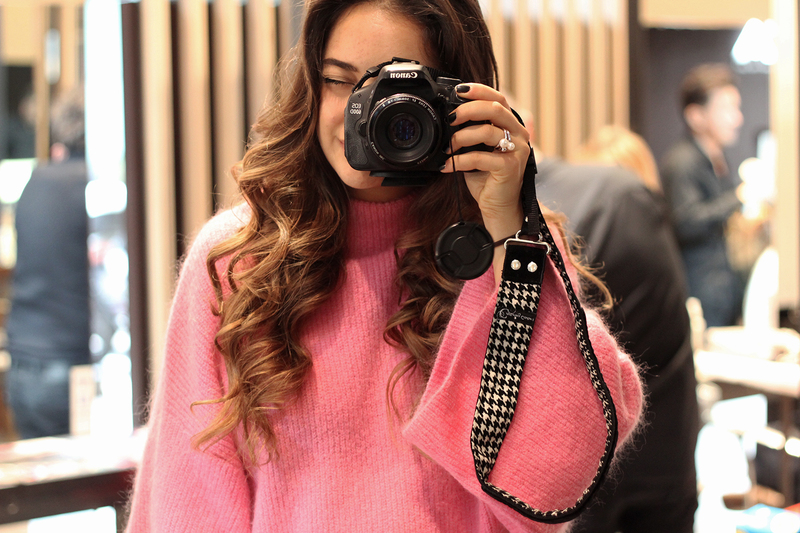 Since I experienced my first treatment at Aveda’s Lepri Hair Salon in Milan (read about it here), I really started liking this brand, their philosophy and the people behind it. 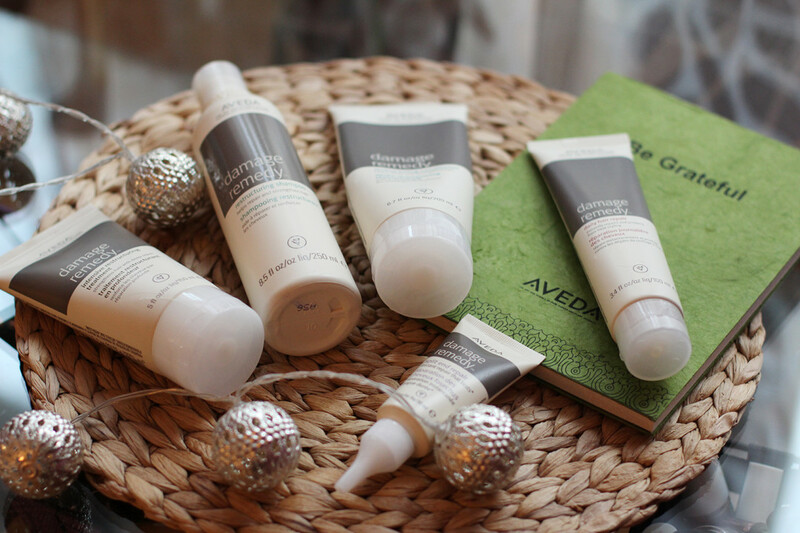 I’m not only giving them a big plus for their mission, which is to produce plant-based beauty products in a sustainable and environmentally-friendly manner, but after testing the Aveda Damage Remedy Series I can honestly recommend this product line to you. 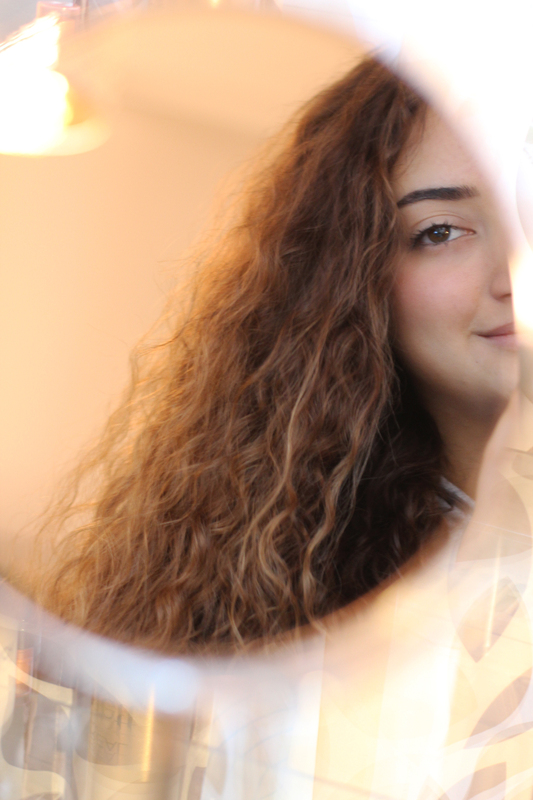 Because every hair is different and thus requires a different haircare routine, let me first tell you little something about my curly hair struggles to see if you might suffer from the same issues. Sooo, the problem with my hair is definitely dryness and frizz on the one hand and no volume at the roots on the other. The dryness, which is unfortunately exacerbated through my balayage highlights. This dryness furthermore damages the curly hair structure and sometimes creates an undefinable “bla” instead of nicely defined curls. Another thing that bothers me is the lack of volume at my roots. One reason for that might be my long hair, but also accountable for that is the fact that my skin gets kinda oily quickly and the the fine nature of my hair. Funnily, I always just accepted that and continued using any kinds of drug store products, which are full of silicons and chemical stuff, not realizing that this might be the cause of my troubles. 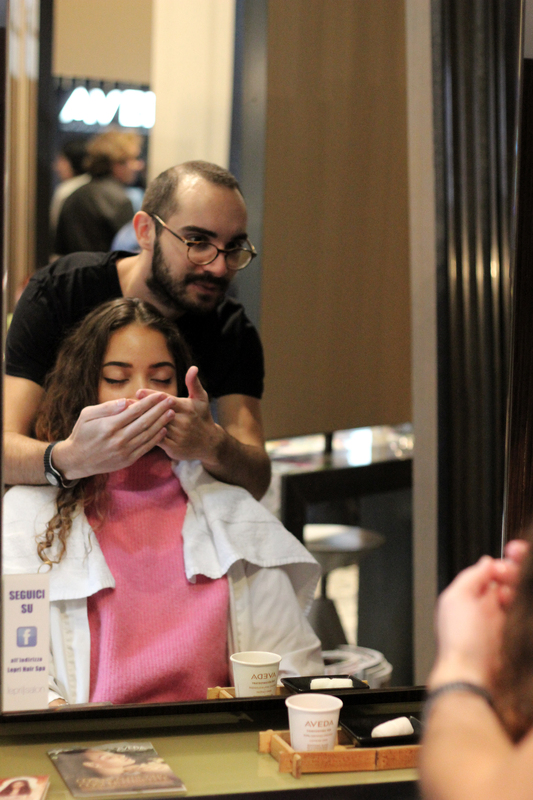 Anyhow… let me tell you how things actually got better with the plant-based products from Aveda. 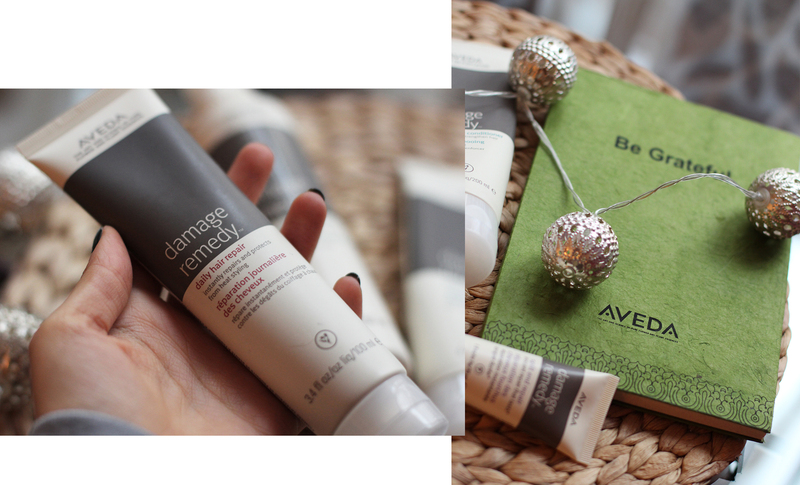 What is the Aveda Damage Remedy Series and what did it do to my hair? The Damage Remedy Series consists out of 5 products – shampoo, conditioner, daily hair repair treatment, intensive restructuring treatment mask and a split-ends repair serum. It focuses on protecting your hair from any kind of damage caused by heat, chemicals or even the environment through ingredients such as quinoa-proteins, coconut and babassu nut oils, which work deeply in the inside of your hair. Sounds yummy, but more importantly – it works for me. I’ve been using the shampoo, conditioner and the daily hair repair leave-in on a regular basis for one month now and to be honest, it first felt a bit weird! I was used to these products that create so much foam and are packed with intensive scents that I first had to get used to the feel of these natural-based products. Less foam, a more subtle scent… I was not sure if I really like that… but I continued the treatment and eventually after around two weeks I noticed a positive change that convinced me. Whereas usually on the second day I felt like my head is a bit oily, now this is not the case anymore. Along with that, my roots have more volume than before. My skin simply feels good. Furthermore, the fine nature of my hair feels stronger now, instead of being excessively soft, and my curls have more strength to curl themselves. It’s a positive change that might not be super obvious to people around me, but I can definitely see the improvement and do not feel the urge to wash my hair so often because of the oily skin or destroyed curl-structure. Girls, we always should be realistic. 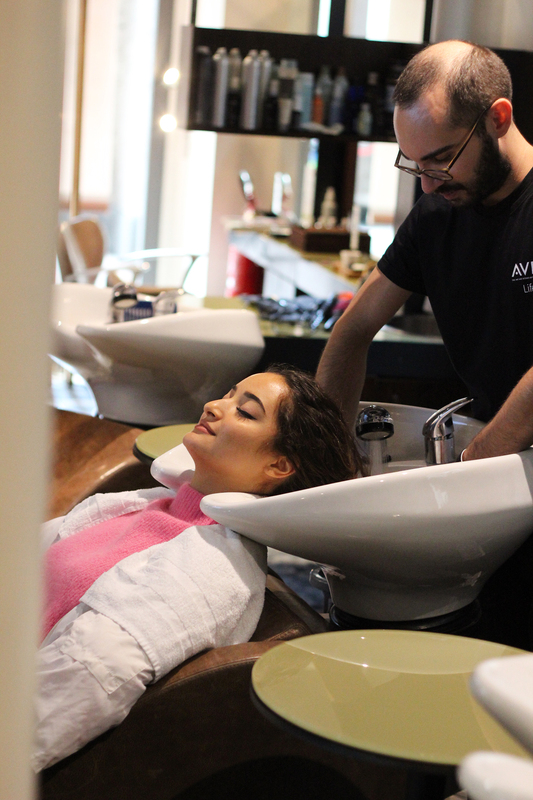 No product will ever make your hair perfect again after you have treated them with heat, chemicals or whatever on a daily basis – it can only support and nourish them up to a certain point. It is therefore super important that you regularly cut your ends and get rid of spliss, plus try to avoid heat whenever you can. Furthermore, if you only have a limited budget but really want to try out these products, I would recommend to go with treatment 1 to 3. Since the plant-based ingredients are highly concentrated, you do not even have to apply a large amount of product – so once bought, they will last a while. And then the other two are nice add-ons that round-up the whole treatment, but even I do not regularly use them and still feel a nice improvement. Giveaway time! 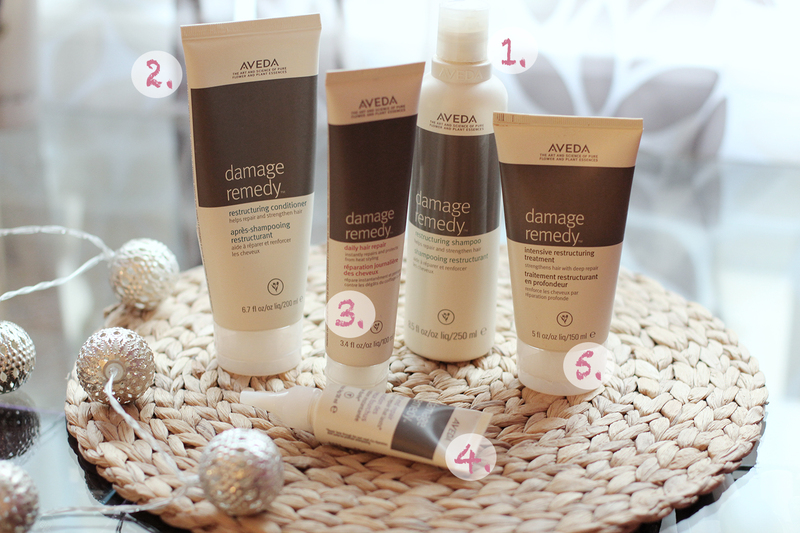 Win one of three Aveda Damage Remedy Sets! The result really turned out amazing – just the way I wanted it! Plus I really enjoyed the process of getting there, because I simply had the feeling that I can trust him and his work. Even on the second day, my hair was still pretty nice and I actually was sad to wash it and get back to my supercurls. I liked it so much, that I might try it out myself one time, even though it will probably not turn out as great. My curly hair babes! Since my last video about curls got such a positive feedback and you asked me so many questions, I decided to make another hair video. 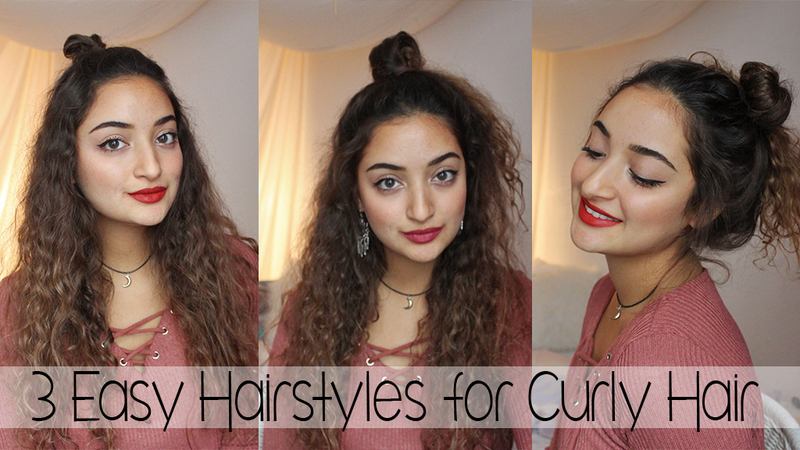 So, today I am showing you three super easy hairstyles I do with my hair… to have at least a little bit of variation. Hope you like them! 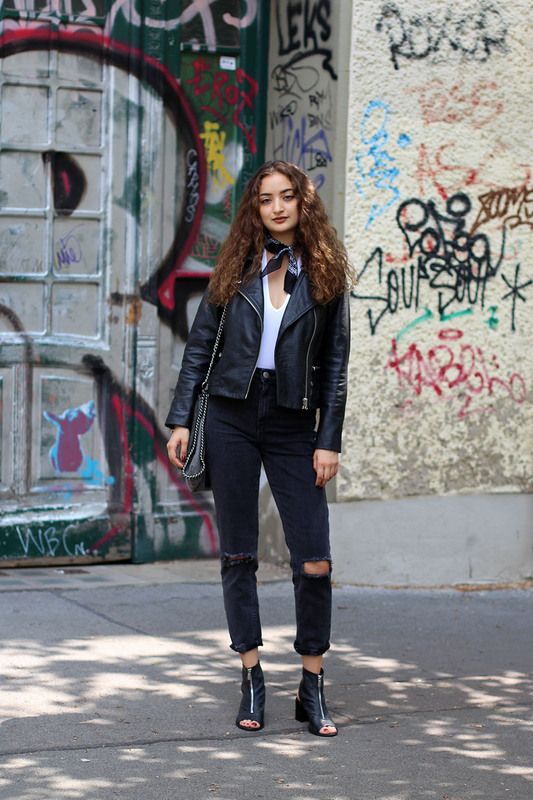 Es ist mal wieder Zeit für einen Beauty Post! 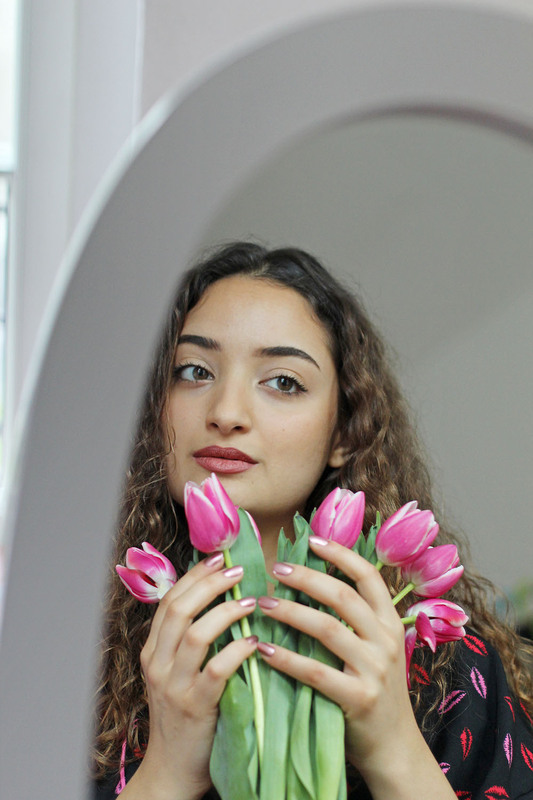 Ich bin auf dem Gebiet keinesfalls ein totaler Pro und Schminkverrückt bin ich auch echt überhaupt nicht, aber ich bin jemand der gutes Make-Up auf jeden Fall wertschätzt und sich immer wieder freut ein gutes Produkt zu entdecken. Kürzlich bin ich zwar einer kleinen Obsession über dunkle Lippenstifte verfallen, aber generell stehe ich auf den natürlichen Look à la weniger ist mehr. Da ich mir gerne immer umhöre was andere Mädels so benutzen, dachte ich mir, zeige ich euch auch mal was ich zur Zeit so nutze. Mac Pro Longwear Concealer No. 25 – Ich benutze diesen Concealer jetzt schon seit fast zwei Jahren und es ist definitiv der beste den ich jemals genutzt habe. Der Farbton passt perfekt, die Deckkraft ist ausreichend und die Flasche hält bei mir über ein halbes Jahr. Gemischt mit einer Feuchtigkeitscreme kann man auch eine leichte Foundation daraus machen. 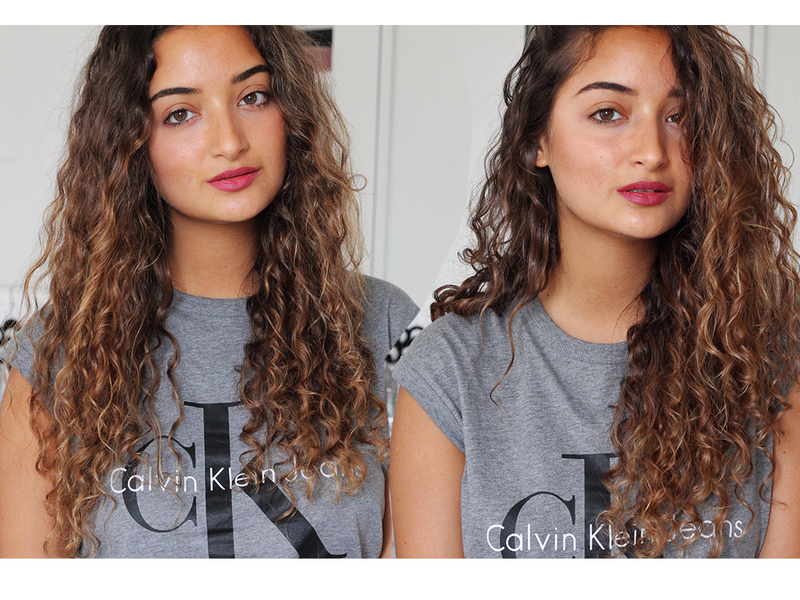 Mac Soar Lipliner und Lipstick Primer – Ich liebe matte Lippen, deshalb finde ich Lipliner auch einfach so klasse. Mein absoluter Lieblingston für tagsüber ist Soar von Mac. Es ist genau der richtige Roséton der zu meiner Haut passt. Seit neustem benutze ich auch einen Primer für unten drunter, denn damit hält der Lipliner nicht nur länger, sondern die Lippen werden dadurch auch viel weicher. 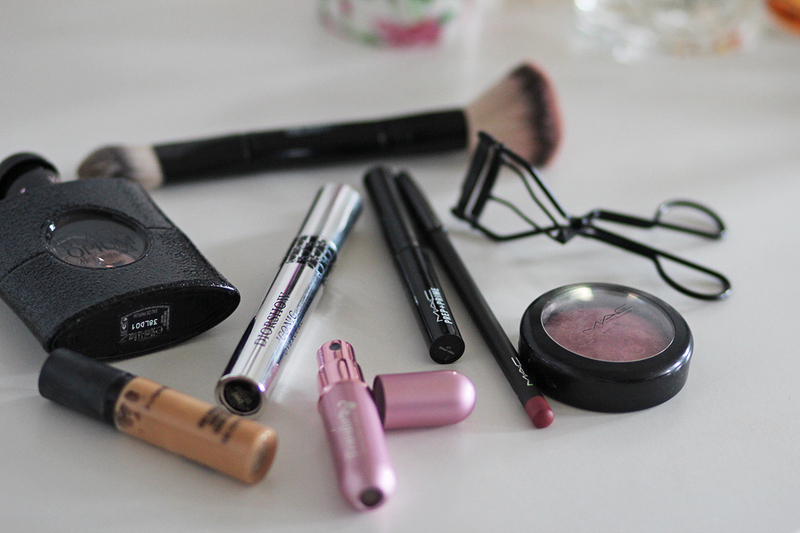 EN: Its time for a beauty post! I am really not a pro or a make-up addict or the like, but I am a person who appreciates good make-up and is always happy about discovering new, good products. Recently, however, I kinda fell into an obsession about dark lipsticks, but generally I prefer a natural make-up à la less is more. Since I am always curious to know what products other girls use, I thought it might be interesting if I share my beauty favorites with you! Mac Pro Longwear Concealer No. 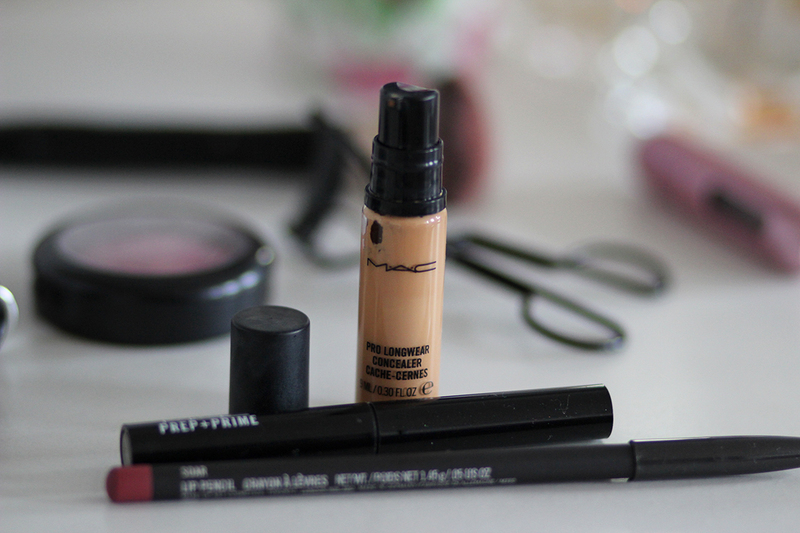 25 – I’ve been using this concealer now for almost two years and I think its definitely the best one I used so far. 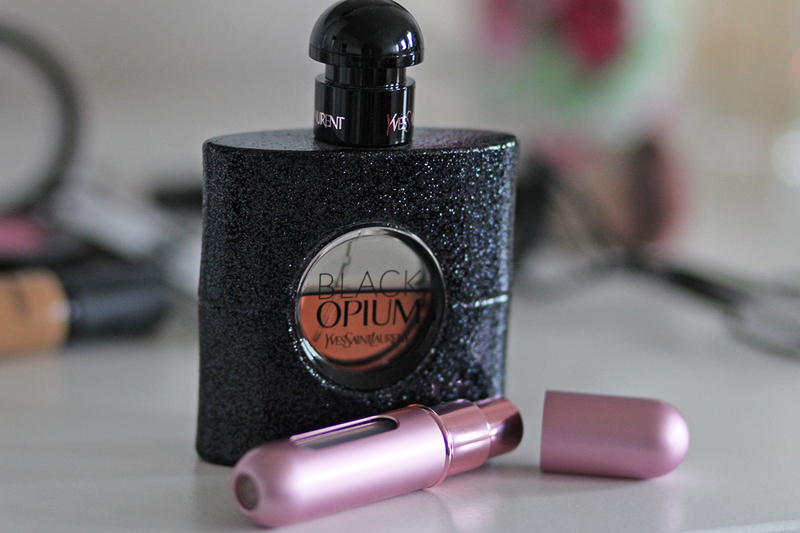 The tone is perfect, it has a high coverage and the content lasts for more than half a year. Mixed with a little bit of moisturizer you can also used it as a light foundation. Dior Iconic Overcurl Mascara – My eyelashes are quite straight and thus I always need to use an eyelash curler to achieve a nice swing. However, if my mascara fails to fix that swing, they will fall back into their straight shape. Thanks to the curved brush of this Dior mascara and its fast-drying content, this is not the case anymore. Mac Soar Lipliner and Lipstick Primer – I love matt lips, and the best thing to achieve these are using lipliners. My absolute favorite is Soar by Mac, as its simply the perfect rose tone matching my skin. Recently I discovered how amazing lip primers are, as they make the lipliner stay much longer and also make your lips appear much smoother!